Help Chompy to eat all the Candy around! Each level will challenge you to find the right order to be able to eat all the candy! This game features infinite levels with 4 different difficulty settings! 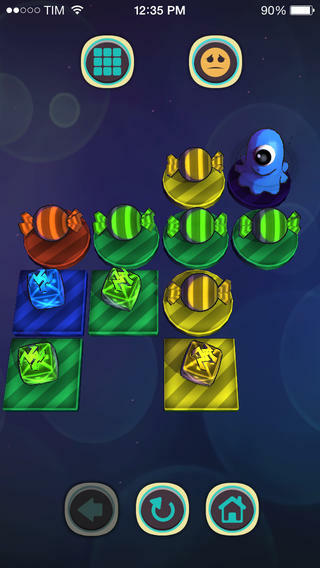 - Chompy can jump to a different platform horizontally or vertically. - Chompy can eat a candy that's the same color or the same shape as he is. 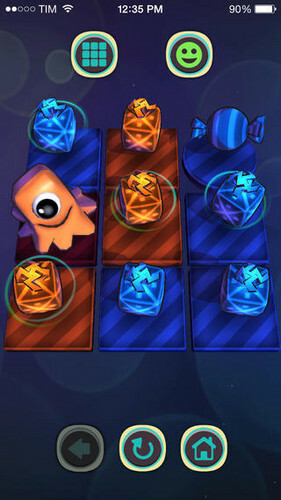 From there you must figure out how to help chompy clear the board by eating all the candy! Once you've mastered the Zen Mode you can try your luck on the Time Attack mode! Eat all the candy you can before running out of time!